IMPORTANT If you have prepaid please print out and bring your PayPal receipt with you on the day, you will need it to exchange for your ticket and info pack. You MUST have your PayPal receipt to obtain your ticket/s to enter the event. The Exewing Fundraisers are a non-profit-making organisation, all funds raised after costs are for charity. 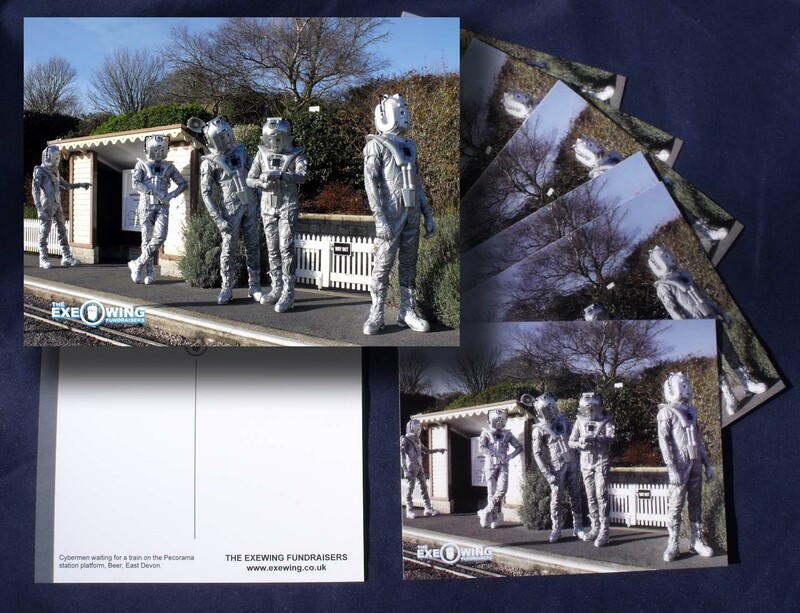 A fantastic Exewing Cybermen Postcard will be given ‘exclusively’ to attendee’s who pre-book tickets for the Exewing Sci-Fi Day at Pecorama on Sunday June 2013. 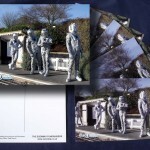 The postcards depict a group of Cybermen waiting patiently on the platform of the Pecorama Miniature Steam Railway Station. Printed on thick card stock with a glossy finish. The exclusive Cyberman Postcards will be put in the pre-booked packs that attendee’s collect on the day of the event at the registration desk. 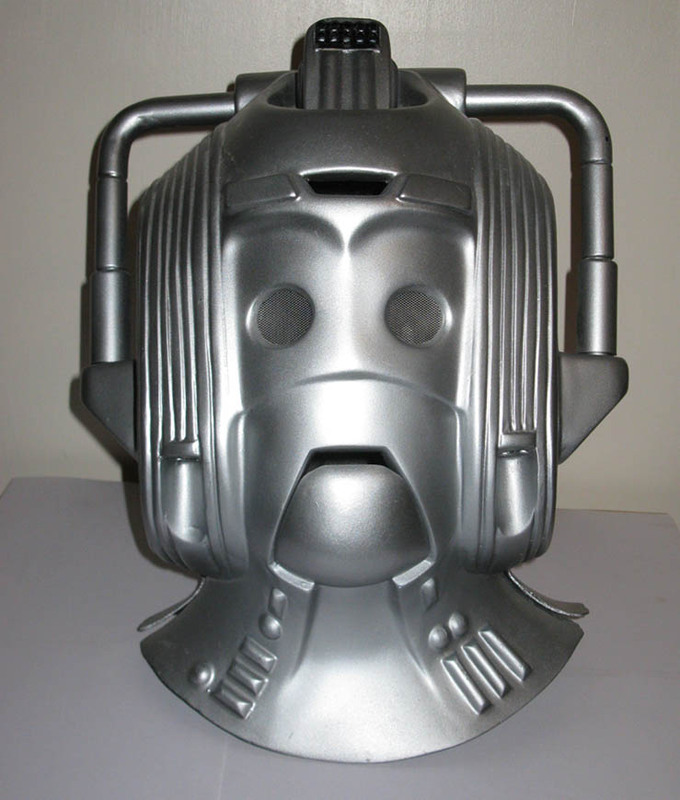 Also, by pre-booking your ticket you will automatically be entered into a special prize draw to win a full size Earthshock Cyberman Helmet! Further Cyberman Helmet Prize Draw Entry Tickets can be bought on the day, but each pre-booked Exewing Sci-Fi Day ticket will include one free prize draw entry ticket which will be given out on the day. 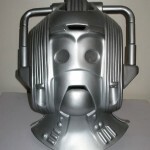 Full Size Replica Prop Cyberman Helmet To Be Won.